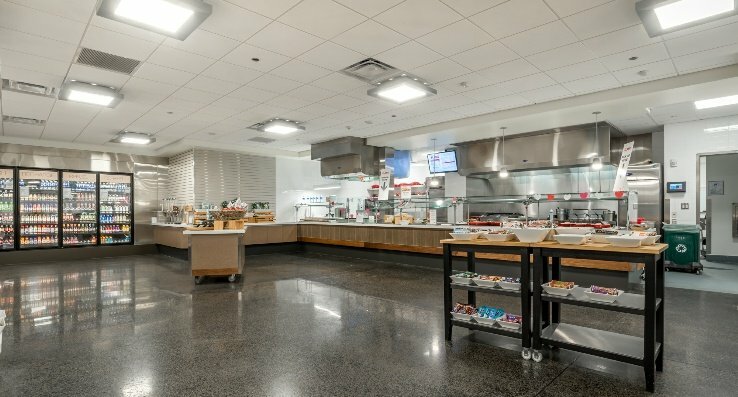 This project consisted of renovations to more than 10,000 SF of space in Bldg. 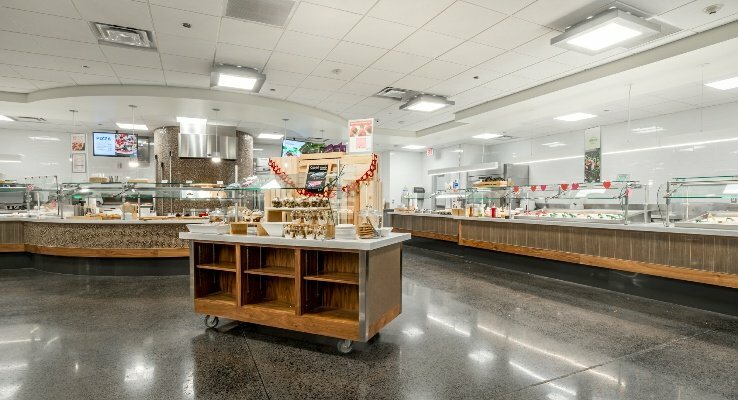 3-800 Cafeteria at Boeing Field in Seattle. 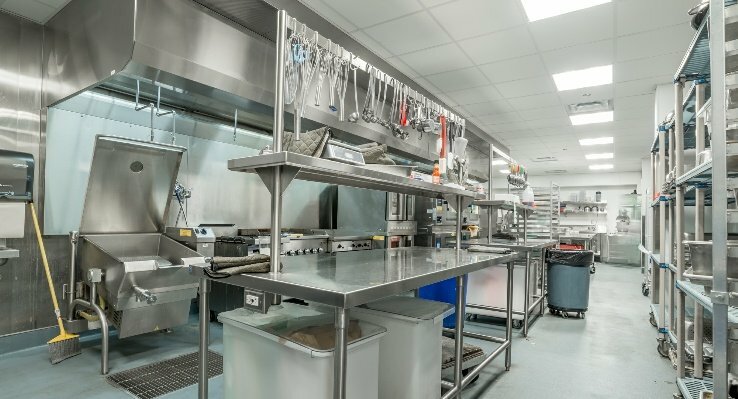 Scope of work involved demolition of the existing cafeteria and adjacent spaces and construction of a new larger Cafe that included a full commercial kitchen, multiple food station cafeteria, soft seating area, all new mechanical, fire sprinkler, and electrical systems, and over $1M of new kitchen equipment. 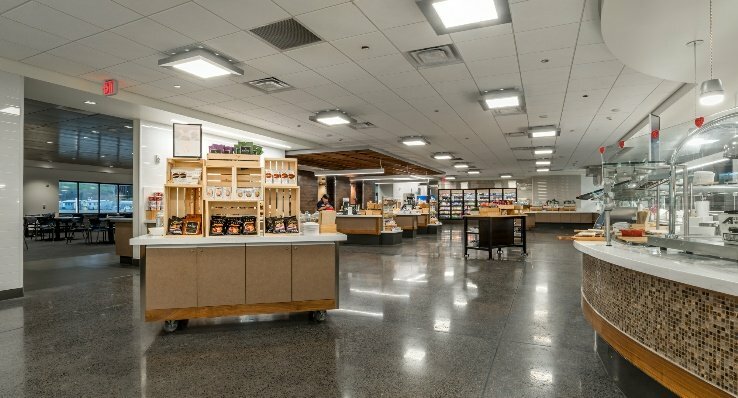 The Cafe and seating areas were finished with high-end finishes including wood ceilings, stone countertops, and seeded aggregate concrete floors. 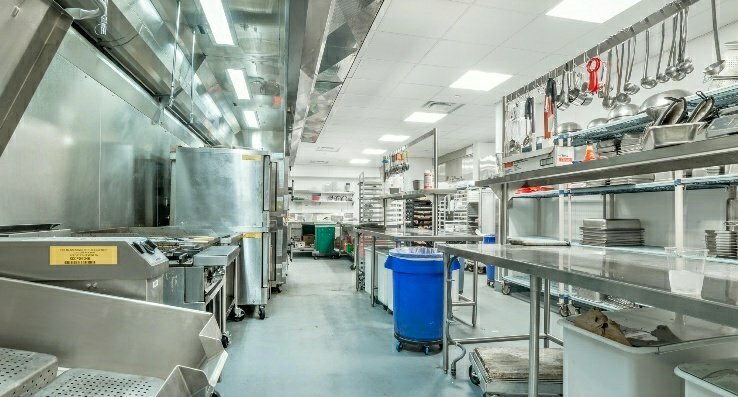 Project was fast-paced with a 4-month duration and involved supporting a temporary food services operation in the occupied facility throughout construction. 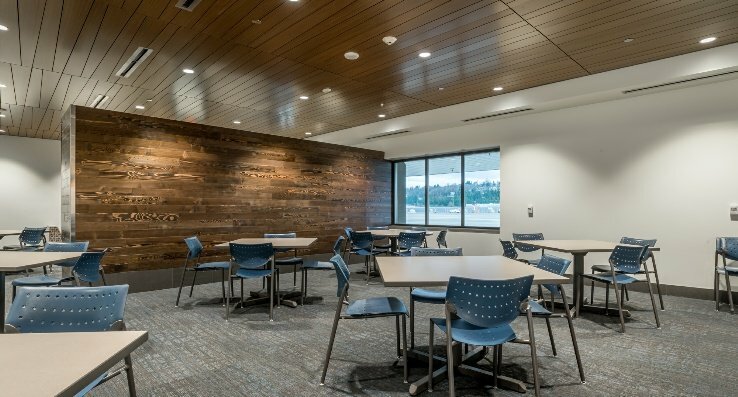 WA Patriot coordinated the work to accommodate our client’s occupancy requirements during construction, and coordinated the schedule to minimize impacts and facilitate their ongoing operations.